This is the second post in a series. In Part 1, I reflected on the vast numbers of 16 year olds who finish 11 years of maths education unable to answer the straightforward questions needed for a grade C. I argued that this is and continues to be a problem, despite rising C-grade pass rates over the past 20 years. This post reflects more deeply on the causes behind why so many 16 year olds are in this state. Pilots are generally open and honest about their own mistakes (crash-landings, near misses). The industry has powerful, independent bodies designed to investigate crashes. Failure is not regarded as an indictment of the specific pilot who messes up, but a precious learning opportunity for all pilots, all airlines and all regulators. As Syed goes on to explain, this culture is particularly useful since the dissemination and circulation of information on failures can quickly reveal ‘signatures’ – particular patterns that keep recurring in various mistakes, problems, and accidents. For example, in one week in 2005, a whole host of reports of near-misses came from pilots landing in Lexington Airport. The investigators quickly cottoned onto the problem from the info from the pilots’ reports: lights had just been installed on an adjacent plot of land, which was then being mistaken for the runway. Within days (apparently, quite slow for the industry – the adjacent land didn’t belong to the airport) the confusing lights were taken down. 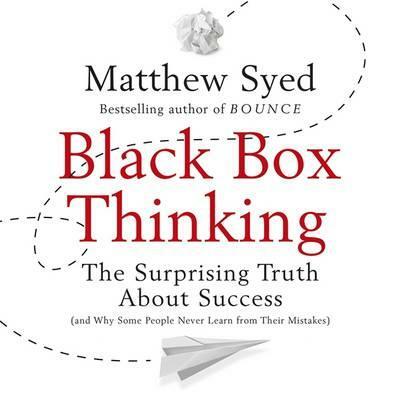 In the spirit of this ‘black box thinking’, I’ve thought about what problems and mistakes I frequently observe in my own classroom, together with the mistakes and honest frustrations I hear from colleagues across various schools. I’ve focused particularly on my experience with bottom sets, since it is these groups that usually fail to make grade C (though my conclusions may be more widely true too). From the mistakes with these classes, what are the ‘signatures’ – the common recurring patterns? What are the issues I keep experiencing and hearing about from other teachers? And, in the following post – what way forward can be discerned from these signatures, from these diagnoses?